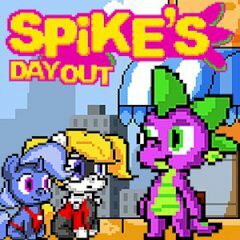 Spike just wanted to have fun and relax from his previous trip, but that won't happen. He meets an old friend, that helped him last time and they unite to solve one problem. Can you help them in their journey? Haven't you missed Spike? The last adventure was quite exciting and he got tired running from one place to another. He wants a day out, but it's not going to be today. You ask why? Because this weird stone statue was nothing, but his old friend from the previous game. Their adventure should be quite exciting. Don't miss a chance to take part of it!